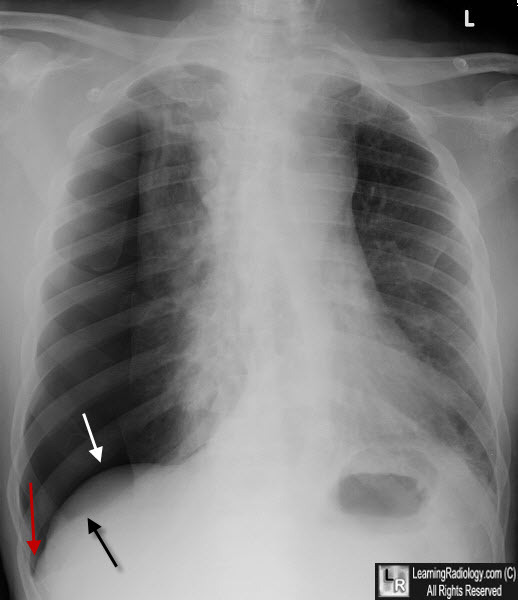 Double Diaphragm Sign of Pneumothorax. 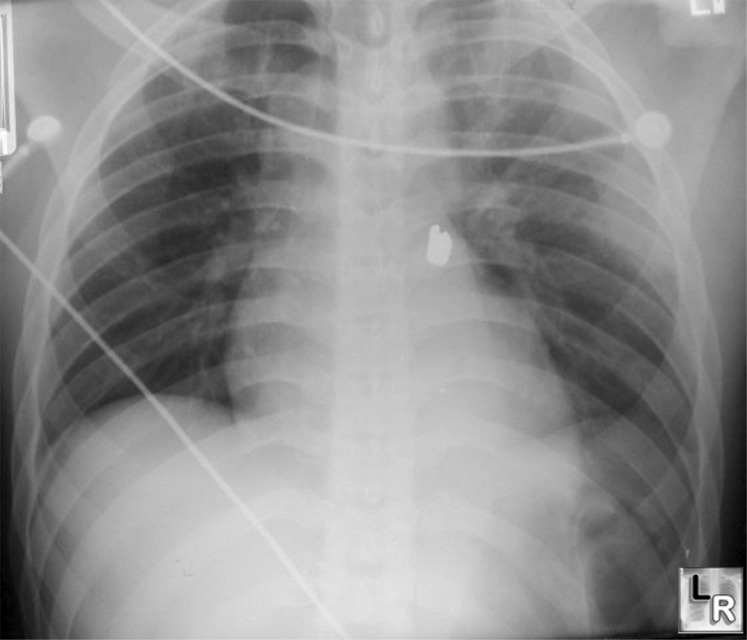 Air in the right hemithorax displaces both the dome (white arrow) and the anterior costophrenic angle in this patient with a large, right-sided pneumothorax. 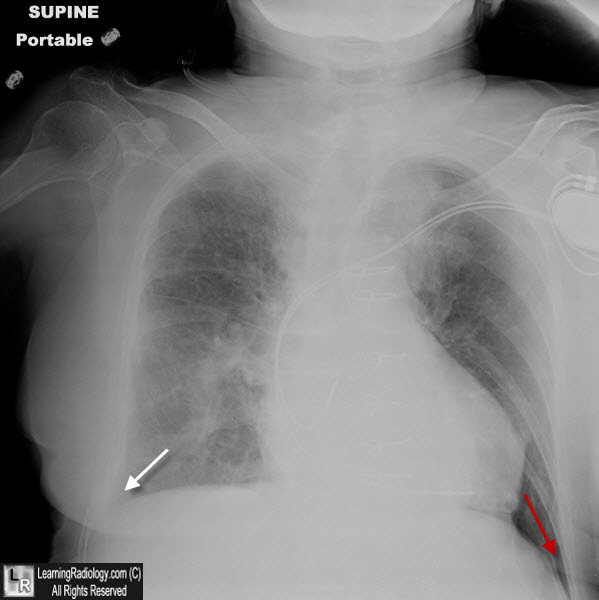 There is also a deep sulcus sign present (red arrow).